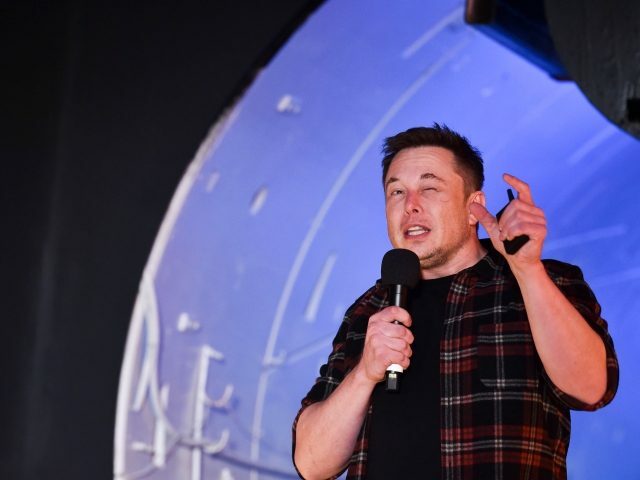 A few days after Elon Musk’s rocket company SpaceX announced that it was cutting ten percent of its workforce, his electric car company Tesla has said it is cutting seven percent of its workforce as well. This week has not been a good one for Musk’s companies, earlier in the week Breitbart News reported that Musk’s rocket manufacturing company SpaceX was cutting ten percent of its workforce. The company said in a statement that the sudden layoffs are in an attempt to become a “leaner company” and that they only needed to be done due to “the extraordinarily difficult challenges ahead.” Now, Tesla is following suit. Looking ahead at our mission of accelerating the advent of sustainable transport and energy, which is important for all life on Earth, we face an extremely difficult challenge: making our cars, batteries and solar products cost-competitive with fossil fuels. While we have made great progress, our products are still too expensive for most people. Tesla will need to make these cuts while increasing the Model 3 production rate and making many manufacturing engineering improvements in the coming months. Higher volume and manufacturing design improvements are crucial for Tesla to achieve the economies of scale required to manufacture the standard range (220 mile), standard interior Model 3 at $35k and still be a viable company. Later in the email, Musk stated: “Tesla has only been producing cars for about a decade and we’re up against massive, entrenched competitors,” which is true. Tesla shares fell by 3.7 percent this week as auto manufacturers across the world revealed a new interest in electric car manufacturing. Ford, Nissan, and GM have all announced large movements into the electric car manufacturing space, whether Tesla’s plan of cutting their workforce in order to compete with them remains to be seen.